Focus on the arduino board now. 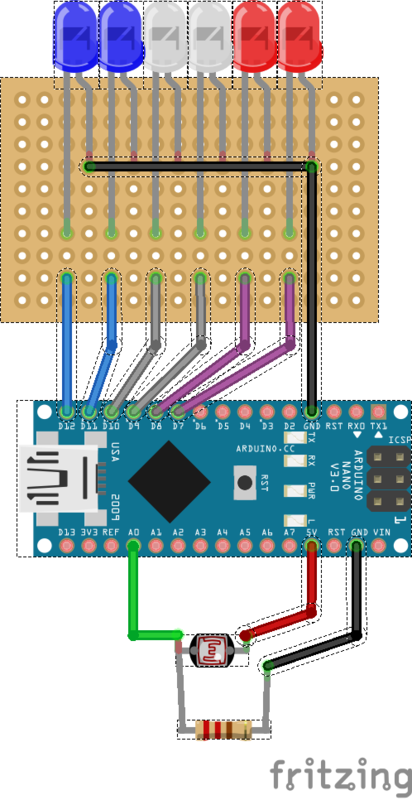 Digital pins from 7 to 12 on each 'long leg' and ground on the others. In the box - ready to be mounted! Get noticed and enjoy your night ride! delay(170); //You can make the lights change speed by changing this value. delay(150); //You can make the lights change speed by changing this value. delay(70); //You can make the lights change speed by changing this value. delay(30); //You can make the lights change speed by changing this value. interested in data exploration and finding innovative solutions to help enterprises.